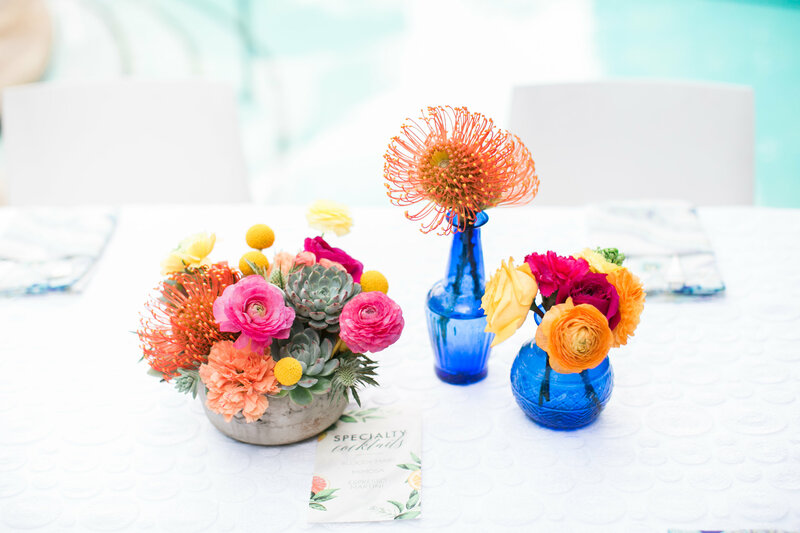 Fall is here and winter is coming, but at Marisa Nicole Events, our minds are always on spring and summer where everything is in bloom and the sun is shining. 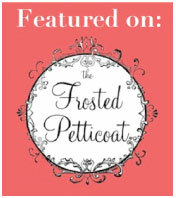 We just love all things floral and thankfully, here in SoCal, we don’t have a hard time getting fab florals year round. Although many elements work together to craft the aesthetic story of your day (linens & lighting, china and tables, and more! 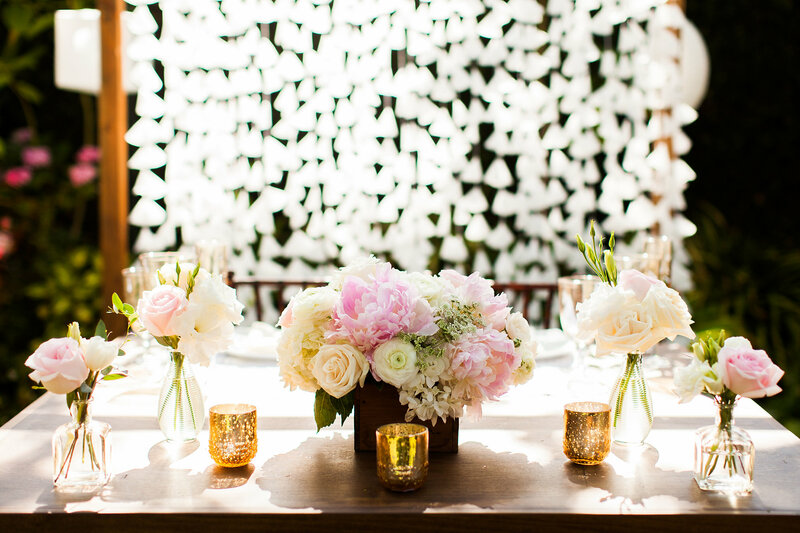 ), florals tend to be the one piece in your wedding design that captures people’s attention. While other mediums sometimes take a supporting role in the look of your day, florals get first billing. 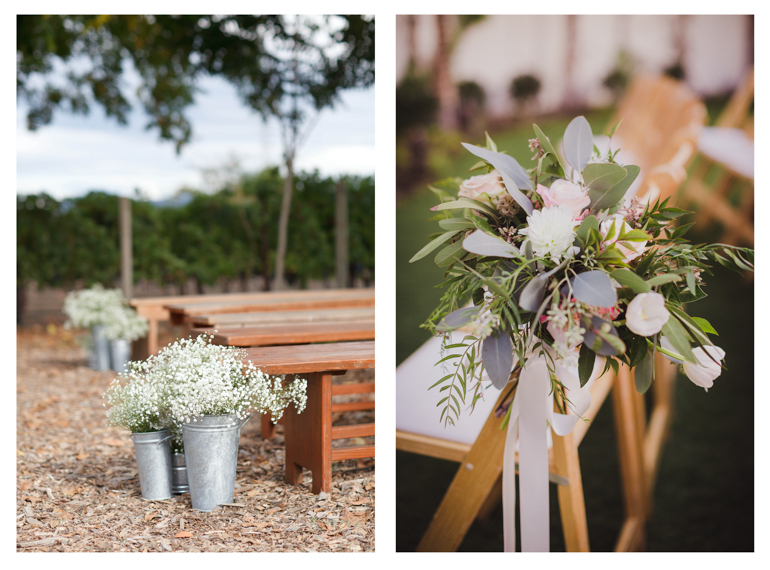 We know that constructing your floral design can be difficult and couples may need help. 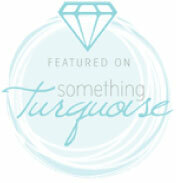 Where do you need an arrangement and where can you go without? 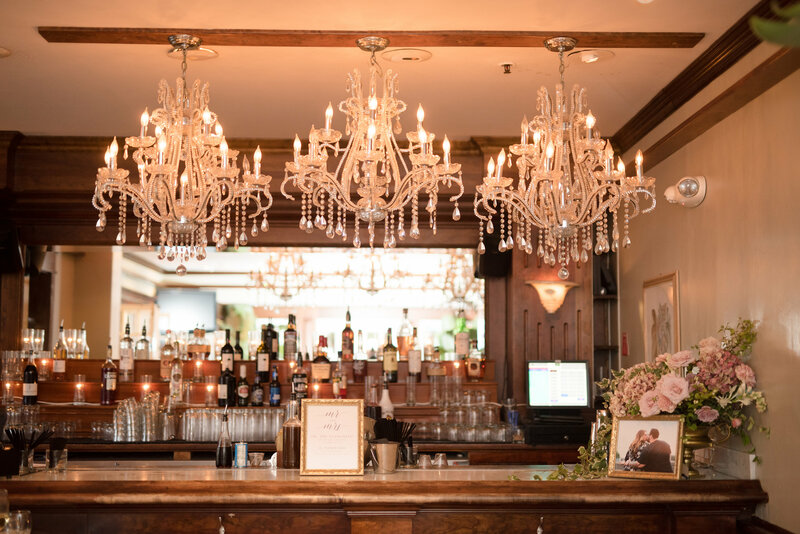 Today, we’re going to walk you through the various places throughout your wedding that you will want to incorporate floral decor into your day. 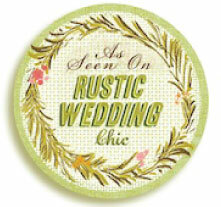 This includes bouquets, corsages, nosegays, and boutonnieres. 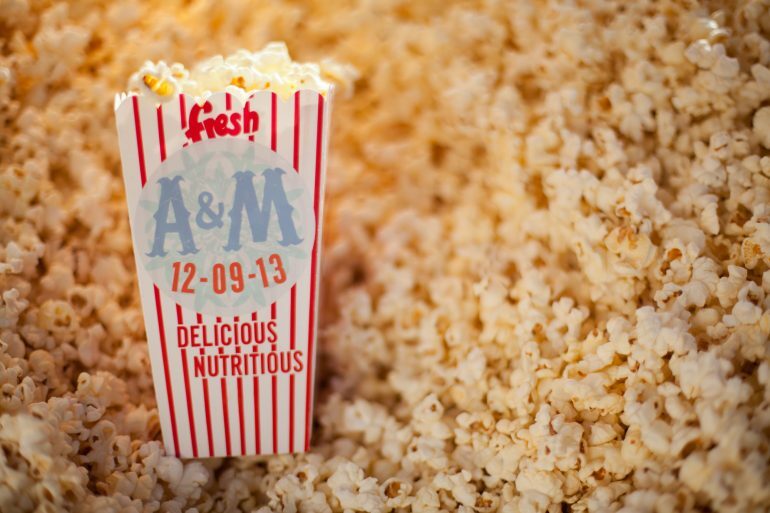 These will go out to everyone in the bridal party, immediate family members, or any V.I.P. 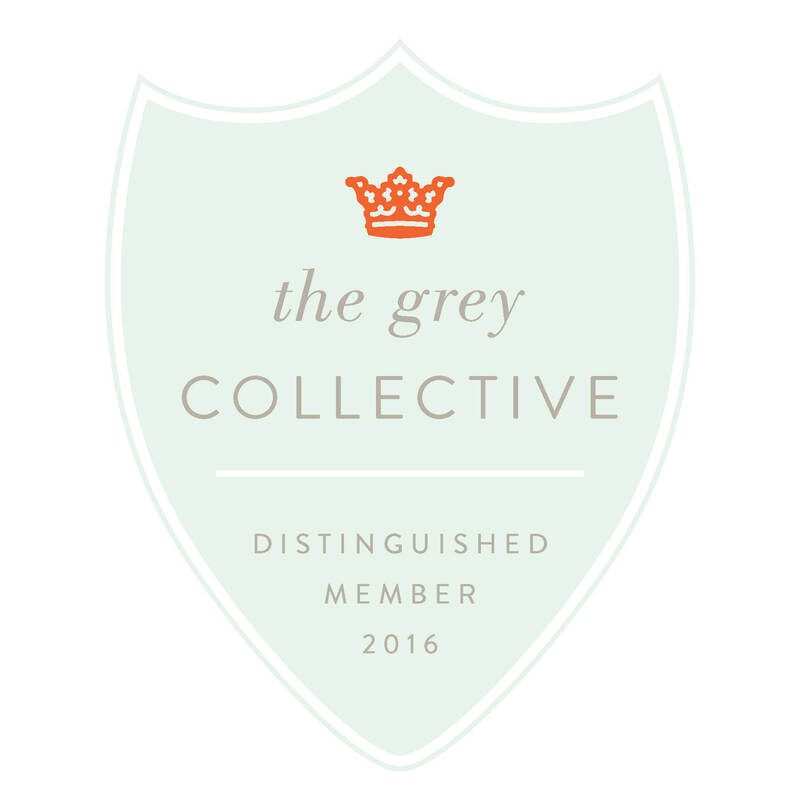 members of your wedding that should be visually honored. 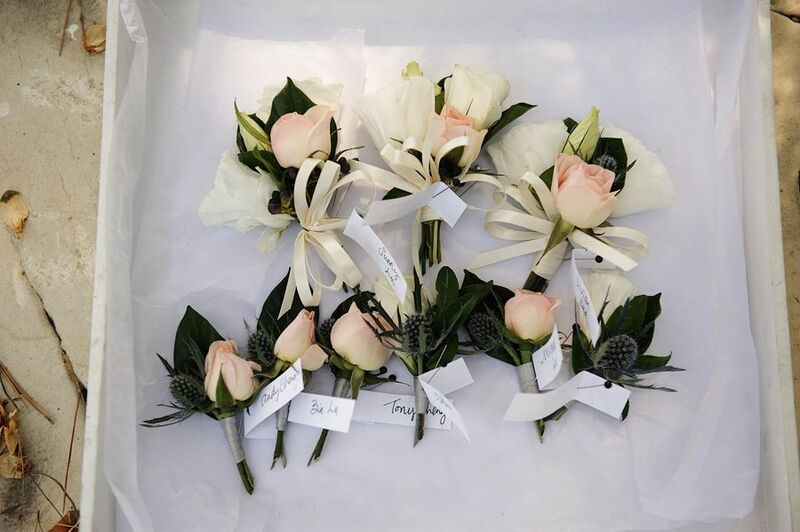 For your ceremony, you will have to decide on the style that you like to determine what flowers to use. 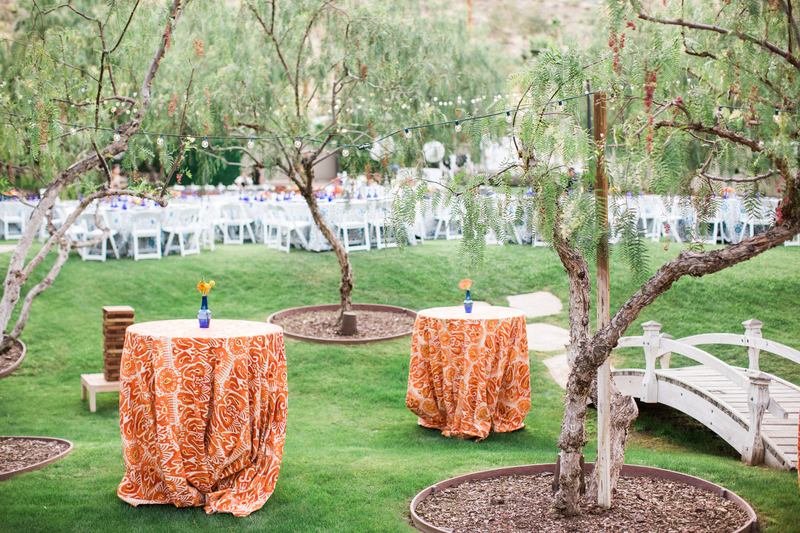 You can put some florals to ground you at the altar, or hang items from a tree or columns. 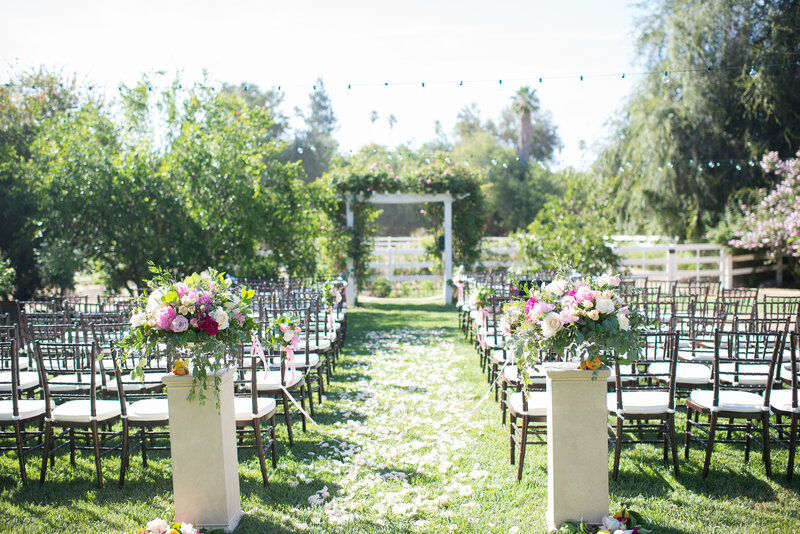 You can even rent a chuppah and decorate it with beautiful florals. You will also want to include something to line the aisles. You can use a trail of petals, or shepherd’s hooks with hanging details. The idea of the floral design in your ceremony is to frame the altar and create a direct line leading to it. If aisle decor is not in your budget, then focus on framing the front for the couple and the back as an entrance for the ceremony. Every surface should have a bud vase or floating bloom with decor like votives and tea light candles. Once the sun is down, the candles are a perfect way to glow up the night. You can use florals to make your bar look fun and beautiful. 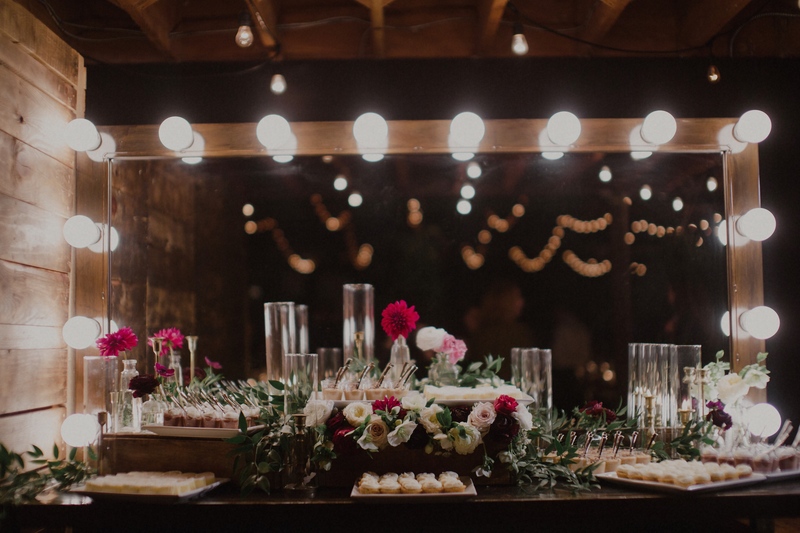 However, it is important to keep in mind that the bartenders may move the arrangements to make room for their services so plan for simple floral designs that are easily transportable, if you are opting for florals on the bar. 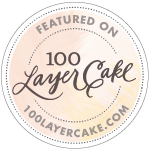 We highly suggest some sort of decor lining the seating chart or table assignments as well as the cake/dessert table. 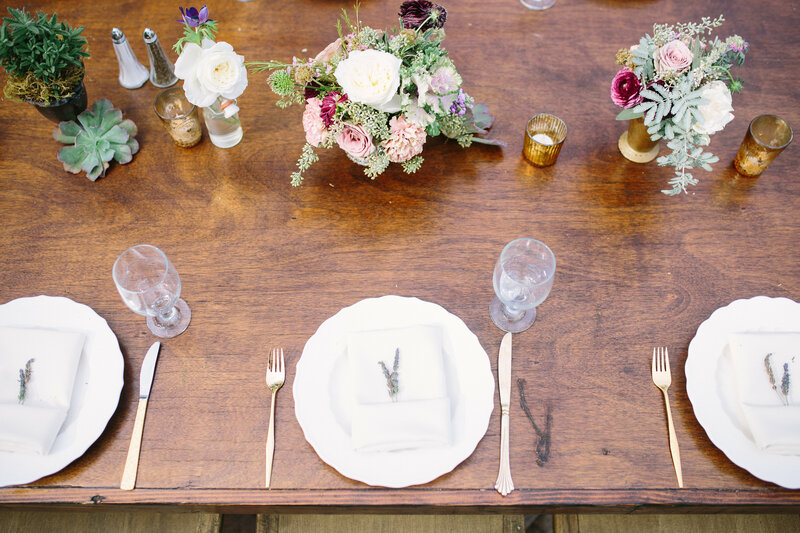 Every tablescape should have a centerpiece for the perfect organic touch to your party, including the sweetheart table for you and your other half. You can even substitute florals for succulents to add some greens into your design. 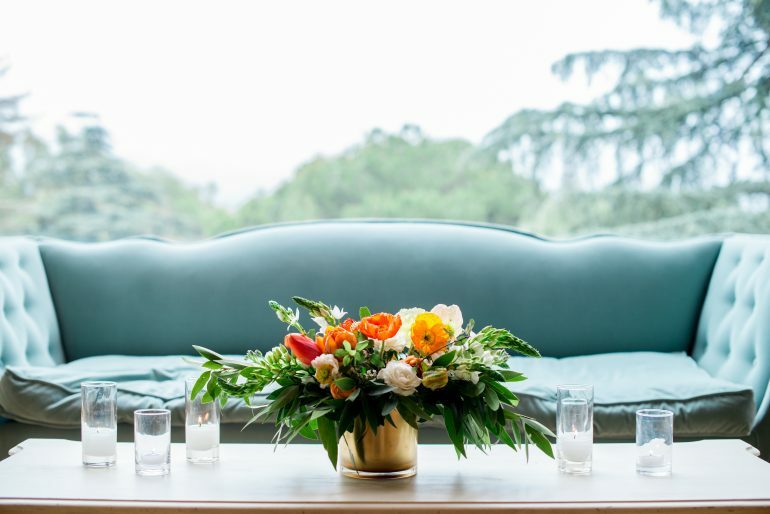 We love using floral tucks, bud vases, and candles; but your design is ultimately up to you! The last thing to remember when it comes to your floral arrangements is the proper etiquette that comes with them. Typically, florals can be taken, but vessels cannot. 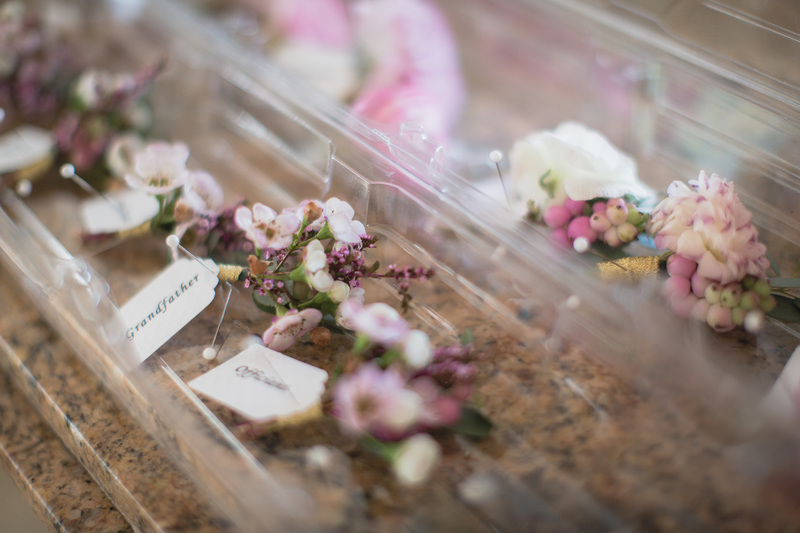 Talk to the onsite wedding coordinator to talk about reusing florals and to determine the intangibles. We are big advocates for reusing florals, but you can’t do it all the time. 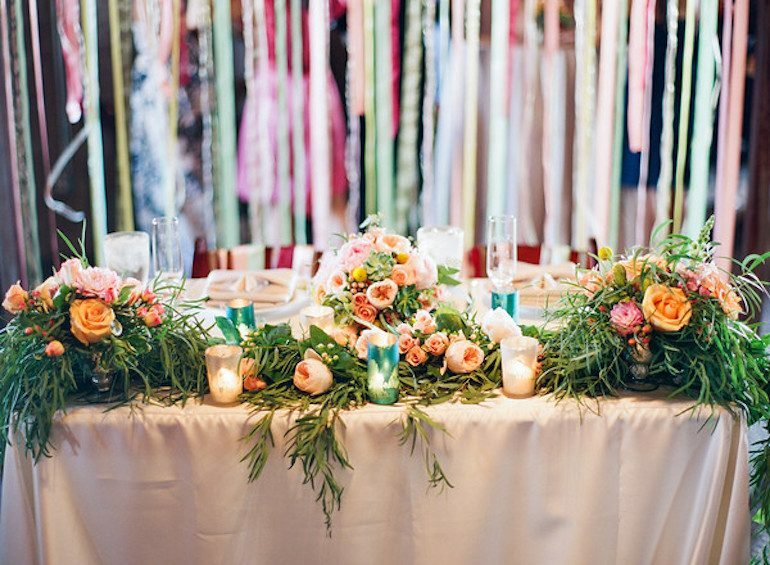 Generally, if all your events are held in one room, the florals will not be moved. 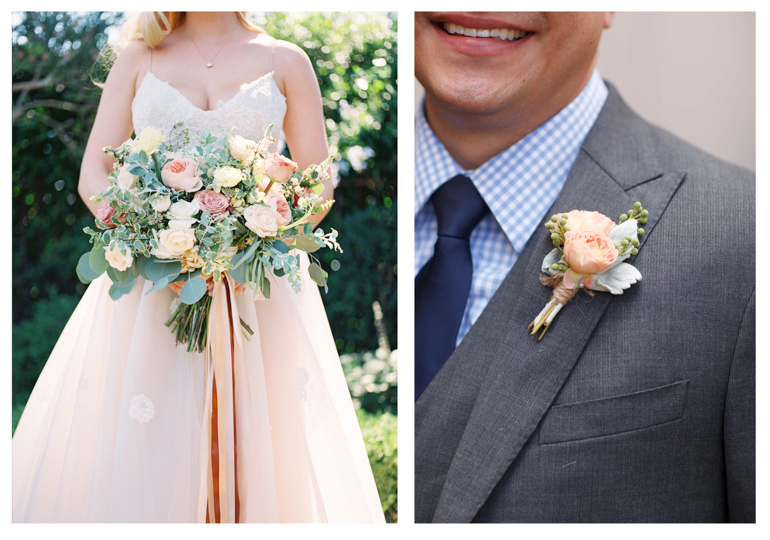 As you can see, there are many things to consider when picking the florals that will brighten up your wedding day. We suggest thinking about each of these categories to help you with your decision. Hope this helps! Will You Marry Me? 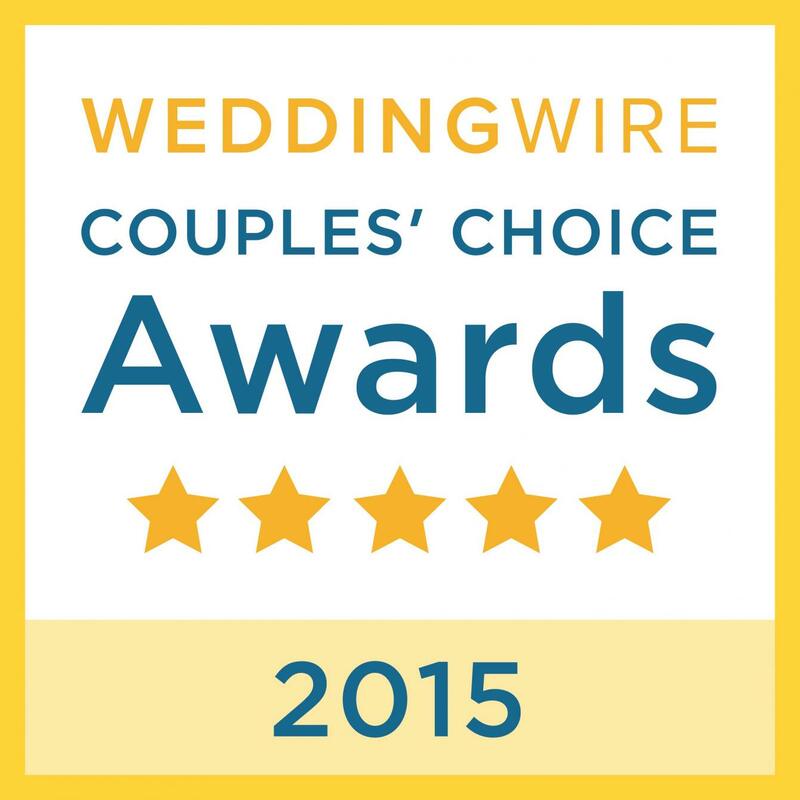 – Picking the Perfect Officiant for your Wedding! 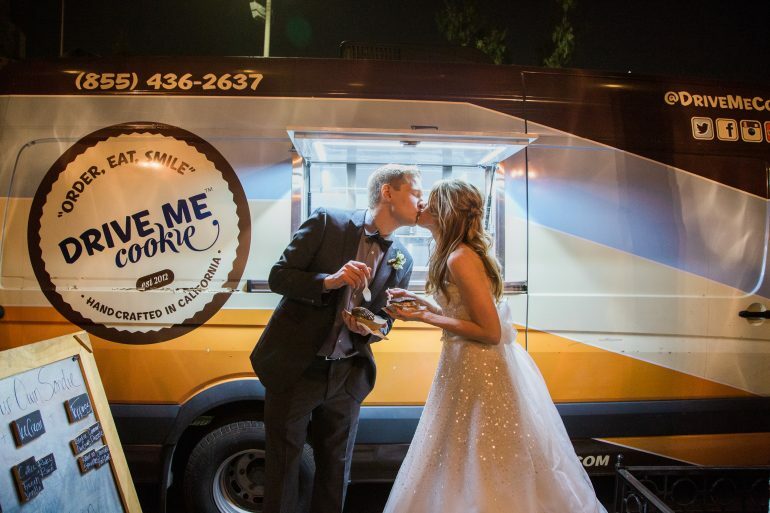 With wedding season coming to a close and engagement season gearing up, many of our couples are beginning to get their vendors in line for their weddings next year. 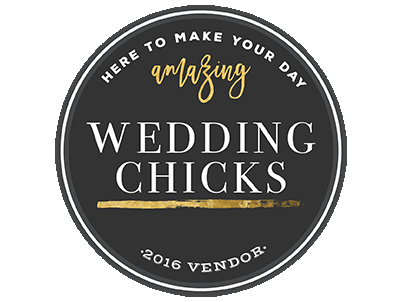 One vendor that every single wedding has in common is someone to actually do the deed and legally marry the love-birds. 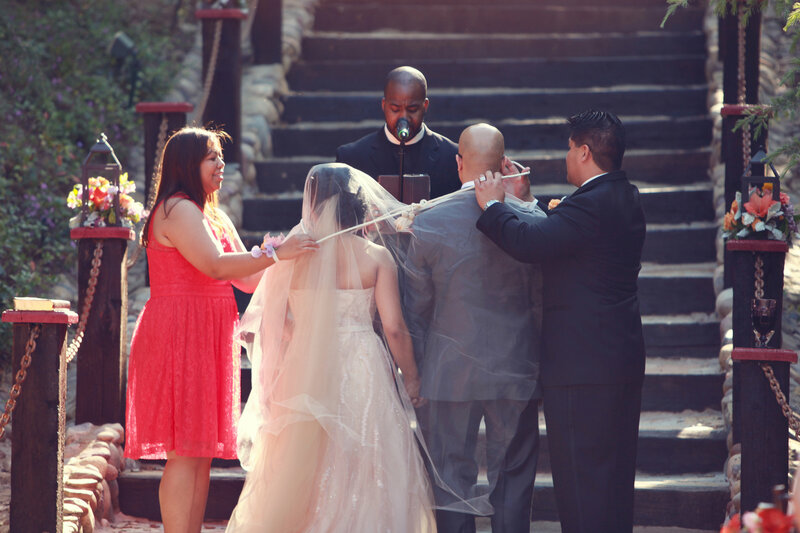 Some couples choose to have a friend serve as their officiant, while others hire a professional. 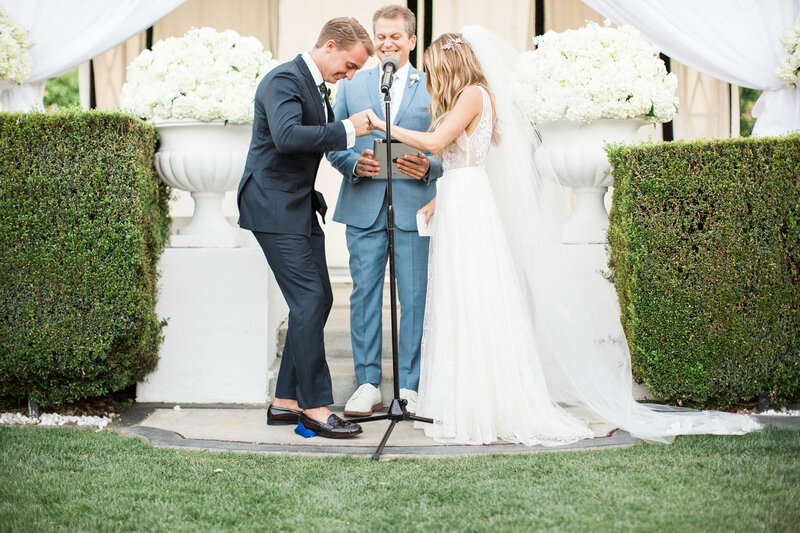 For those of you planning to bring in a ringer, it is important to find an officiant that is the right fit for your ceremony needs. Today, we are talking you through the process of finding and booking the minister, rabbi, non-denominational officiant, or marriage guru for you. Different couples have different needs and instincts as to what they want when it comes to who will be the one to marry them. Would you prefer a male or female? Do they need to have a specific religious affiliation? Do you want someone with a traditional, old-school vibe or someone young and hip? You may want to consider the services that your officiant may offer. Some officiant companies include premarital counseling. Others aid with obtaining your marriage license (so you don’t have to waste a couple hours during the workweek at the courthouse). 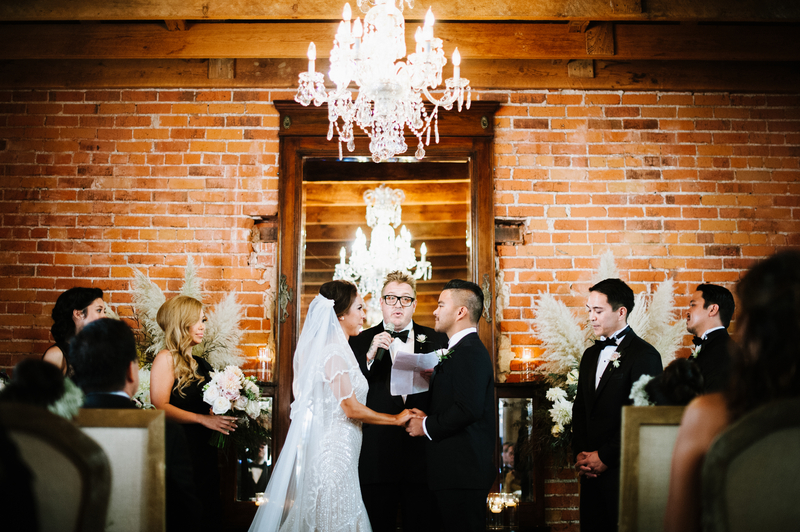 Some officiants have a very set way that they conduct their ceremonies, while others will let you organize it however you want, as long as you say “i-do.” It is important for you and your partner to sit down and discuss what both of you want in each of these sections before actually speaking to or research officiants. 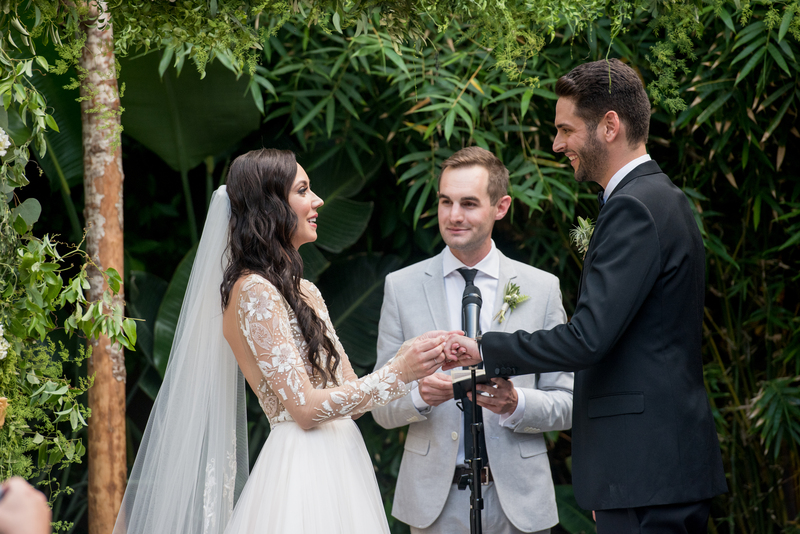 Once you have started to think through what you want in an officiant, it would be good to discuss what specific items you do or do not want included in your ceremony prior to talking to any potential officiants. This way you go into these conversations with a game plan and can describe what you are thinking for your ceremony. Different plans can range from recreating a version of a catholic mass in an open field to mixing together two very different religions, or from having a completely secular ceremony to including a ceremony with tons of readings, songs and traditions. 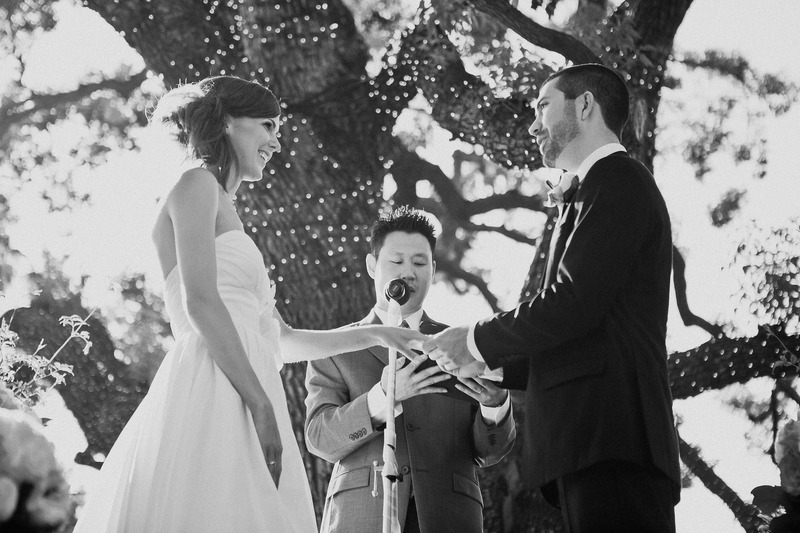 Ultimately, the type of ceremony you have will determine what kind of officiant you choose. By now, you and your partner should have a clear idea of what you are looking for in an officiant that you can start doing some research. A good place to start would be to ask your wedding planner to refer you a list of officiants they may have in their network. 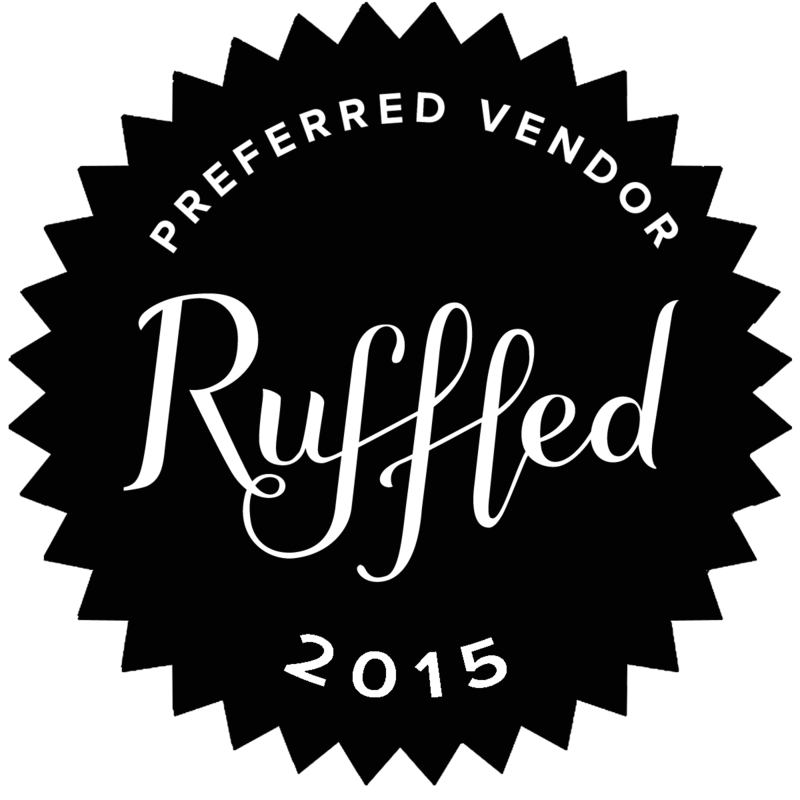 If you are flying solo without professional vendor leads, then do some research on officiants in the area. 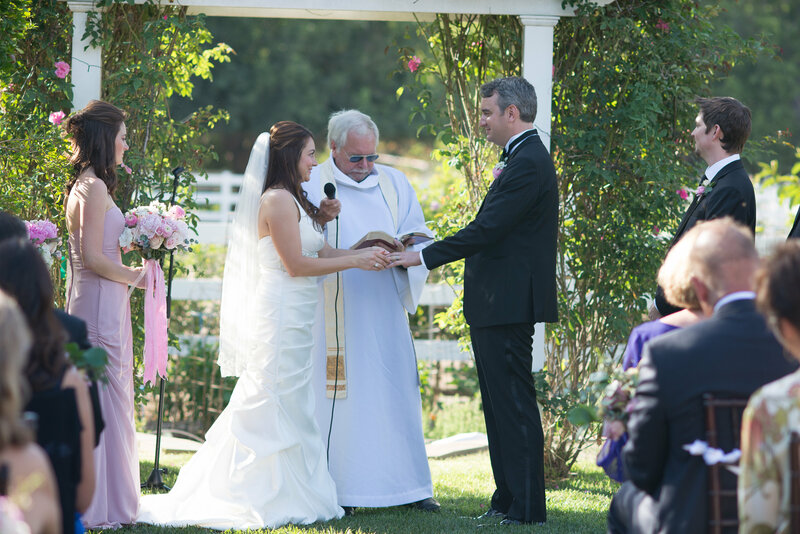 Officiant services can range between $300 to $700, depending on the services and experience. This is something to keep in mind while budgeting for your wedding. 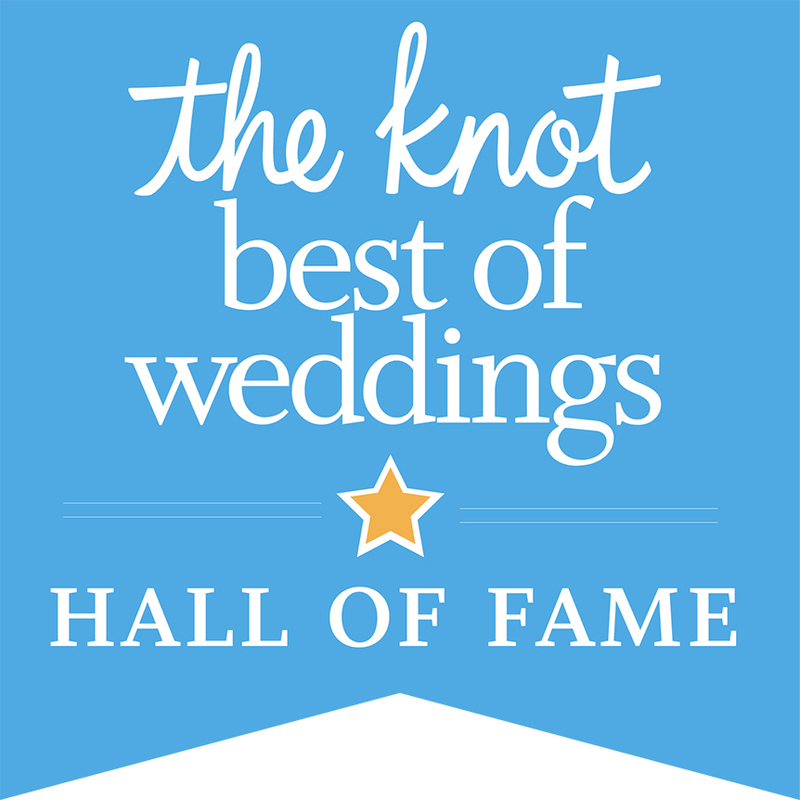 After you have done your search and narrowed down your options, reach out to your potential officiants and schedule “get-to-know-you” phone calls. 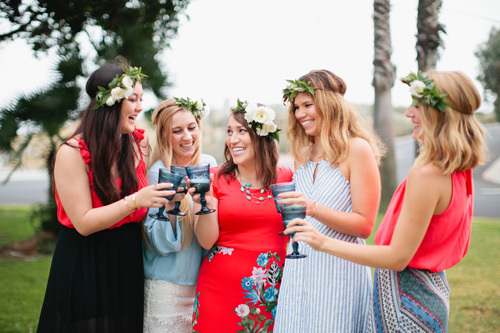 It is important for both partners to be present for these chats so you can get the general vibe of the person and determine if they are a good personality fit, as well as a fit for the ceremony you want as a whole. Be sure to ask how long their ceremonies tend to last as that may also be a deciding factor in your choice. Hire the one that’s right for you! 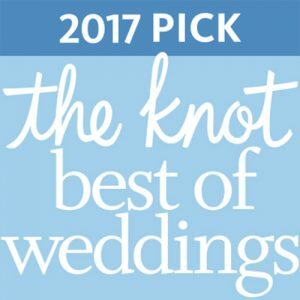 Once you have found the perfect officiant that you can vibe with, fits your criteria, is available on your date and the price is right, hire them asap before someone else books them! 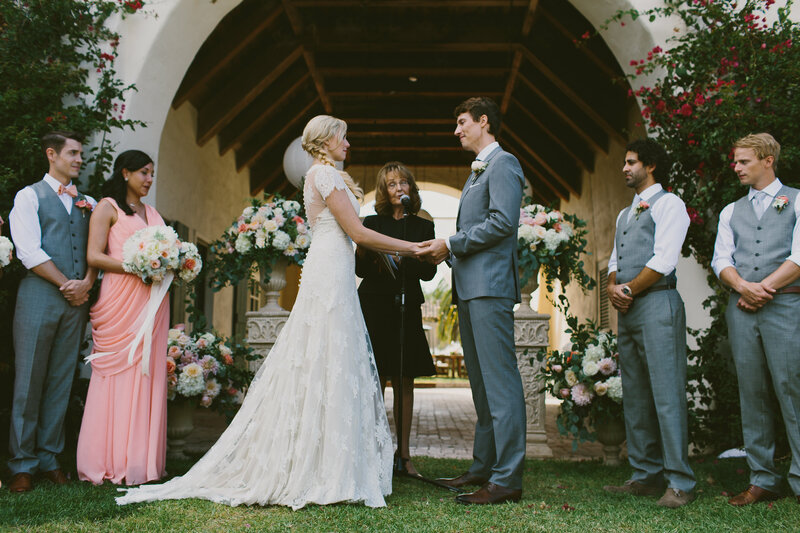 By following these tips, you should be able to find the officiant that is right for you. It’s okay to be picky with who you want. After all, it is your big day! 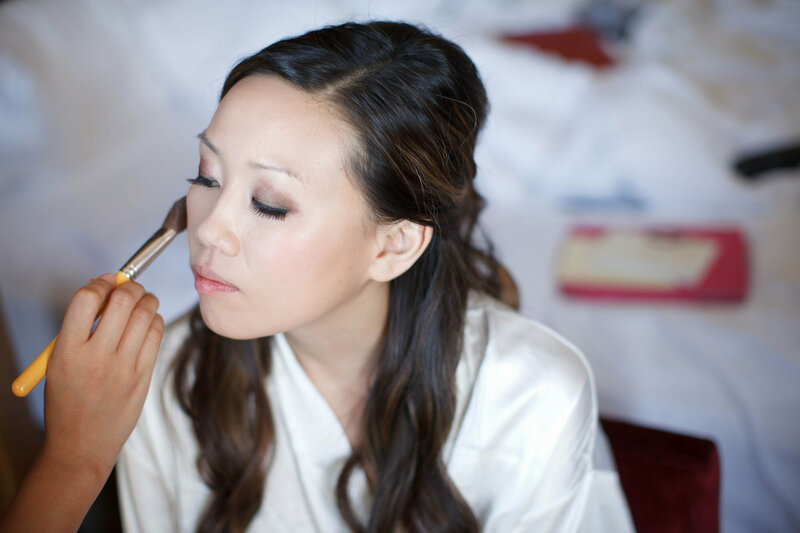 Bridal Beauty: Your Wedding Hair & Make-up Done Right! We’re finishing up wedding season and today’s post is aimed at helping all you brides that are stressing about what to do with your locks and looks on your special day. 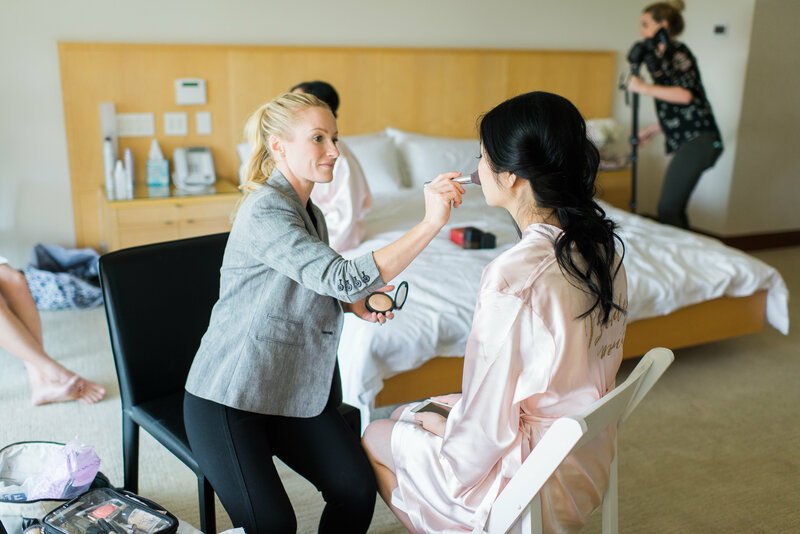 I’ve come up with five tips to share with you that will help ensure your hair and makeup on your big day are simply fab fab fab (from a wedding planner’s point of view, or course!). Believe when I tell you that going with a professional is one of the best things you can do on your wedding day. 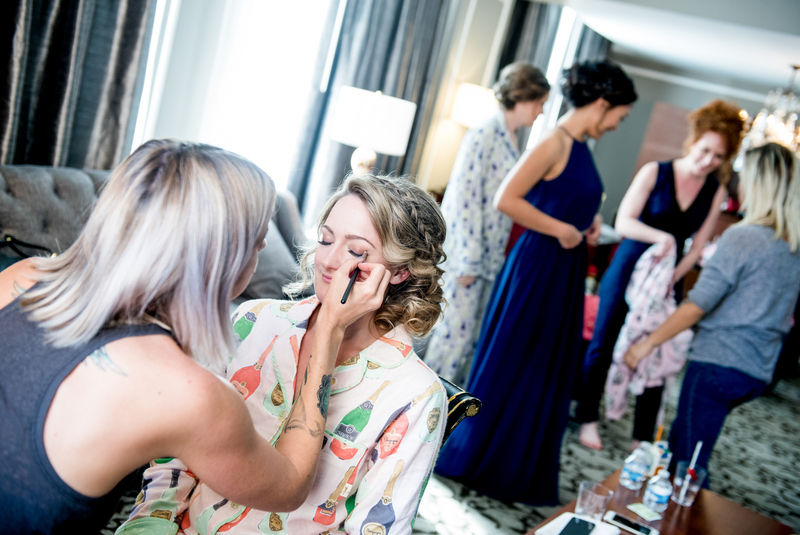 Even if you are an talented with a makeup brush and super handy with a curling iron, I have seen many brides break under the self-imposed pressure of making herself up on her wedding day. Relieve that stress from yourself by bringing in someone who knows what they are doing and is 100% focused on making you look like a rock star. 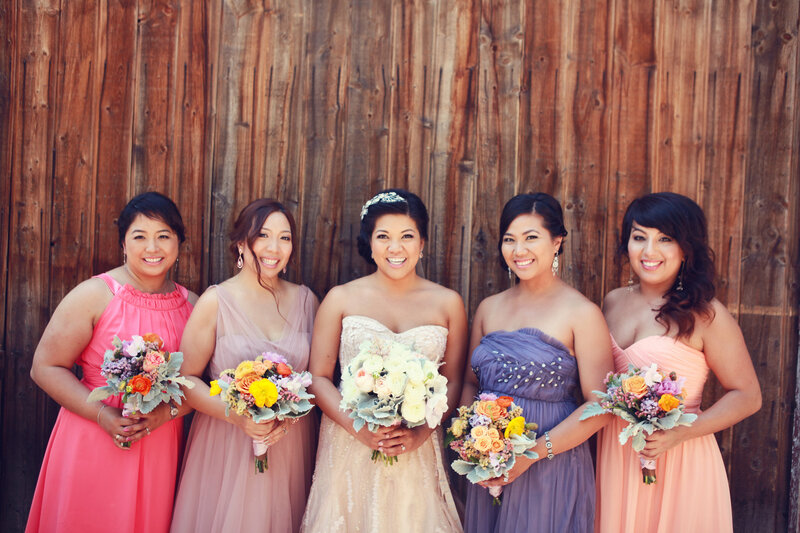 Your wedding day self will thank you and your photographer will bless your name! Something to keep in mind is that the camera will take off 25-50% of your makeup in your pictures. You’ll be glad you invested in a professional with sustainable products so your hair and makeup will be one less thing to worry about. 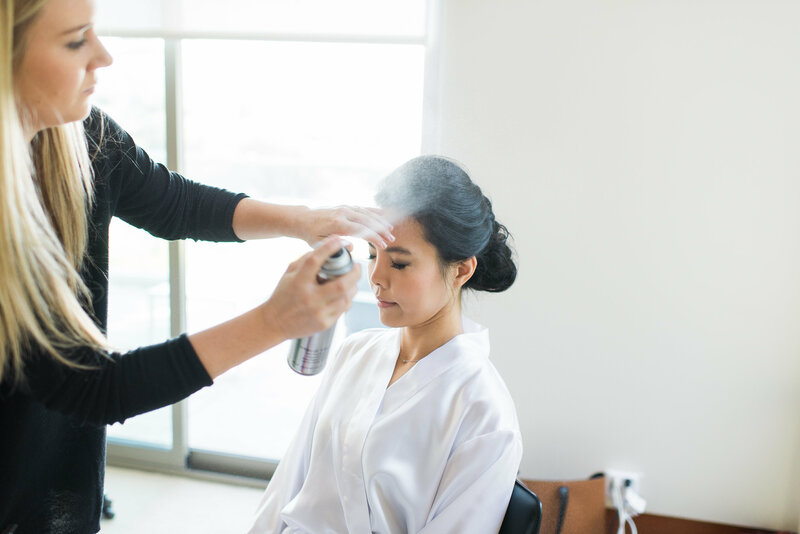 Make sure you give your stylist enough time to perfect your wedding look. 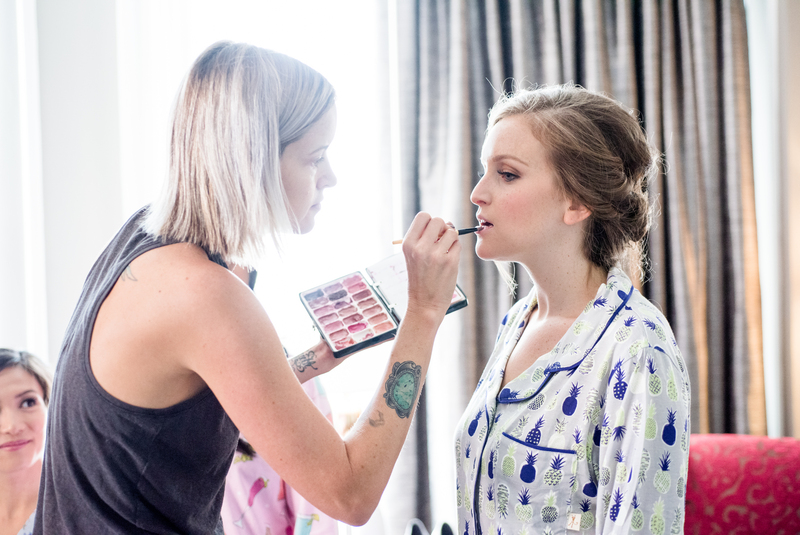 Wedding days are crazy: people run late, tasks run behind, but make sure that you reserve time to get your hair and makeup done right!. 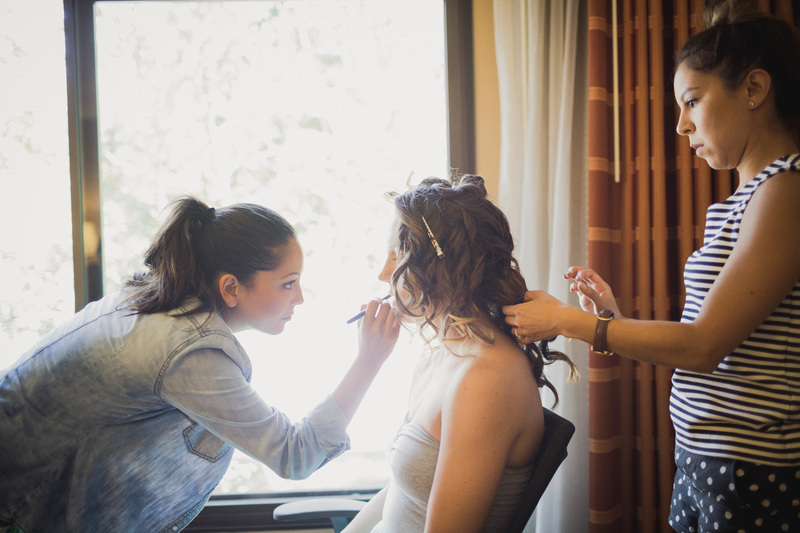 You want to make sure you have between 2.25-2.5 hours for your hair & make-up to be completed. Even though your stylist may say only 2 hours are needed, give yourself some extra time in case you need to change something or something unexpected happens. Seriously, I can’t impress this upon you enough. You absolutely, 100% need a trial before your wedding day to make sure that the look you want actually looks good on you. This will also give your stylist the opportunity to get to know your complexion and hair-type so that they know the best products that will work for your particular hair and skin type. Don’t take chances on your wedding day. Seriously, despite the cost, take the trial! Before you go in for your trial, send your stylist photos of the hair and make-up styles that you are considering for your wedding day. It is extremely helpful for you to provide a visual example for your stylist. A verbal description won’t be enough. Make sure your stylist can see the look you like, and also hear a verbal explanation of why this is the look you want to achieve. During your session, don’t be afraid to vocalize any concerns while you’re in the chair! If you’re uneasy about what you are seeing, communicate your feelings. It’s your big day, you deserve to look the best! 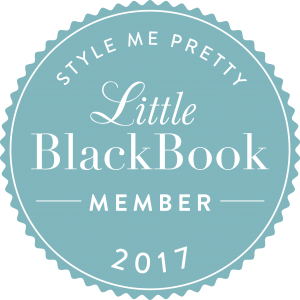 Show your stylist some appreciation by including a tip with their final payment. Vendors will go above and beyond to make sure your day is as perfect as possible so don’t forget to give them your thanks. Tip your stylist! 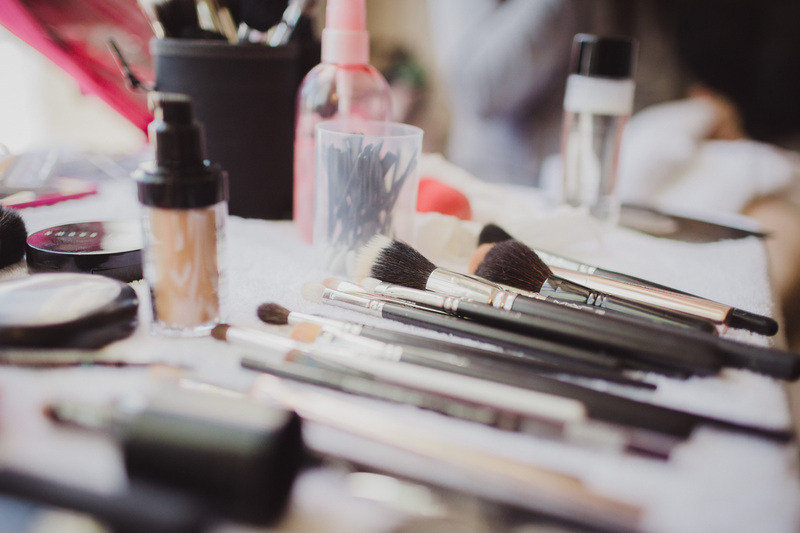 If you’re struggling to find a makeup artist and hair stylist that is right for you, use these tips to help guide you in the right direction and narrow down your options. Stay beautiful, my loves! 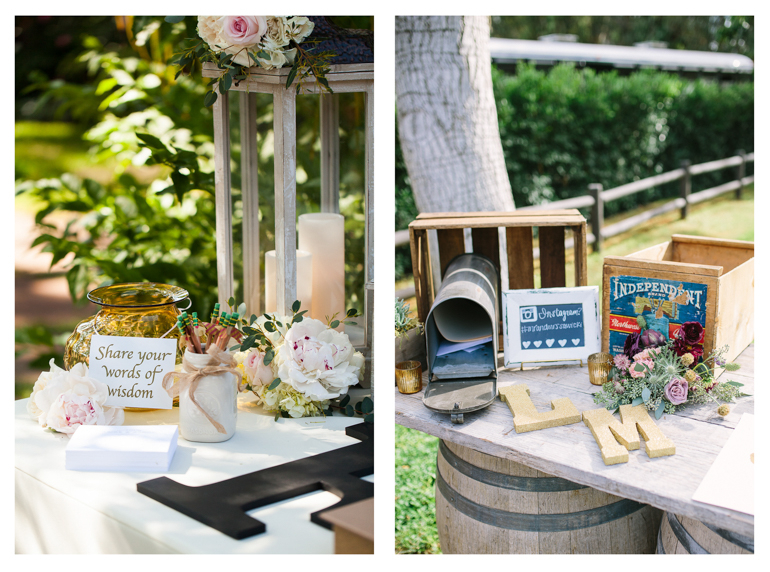 If one thing is true about making a wedding come to life, it’s that the day undoubtedly rests in the hands of your vendors. 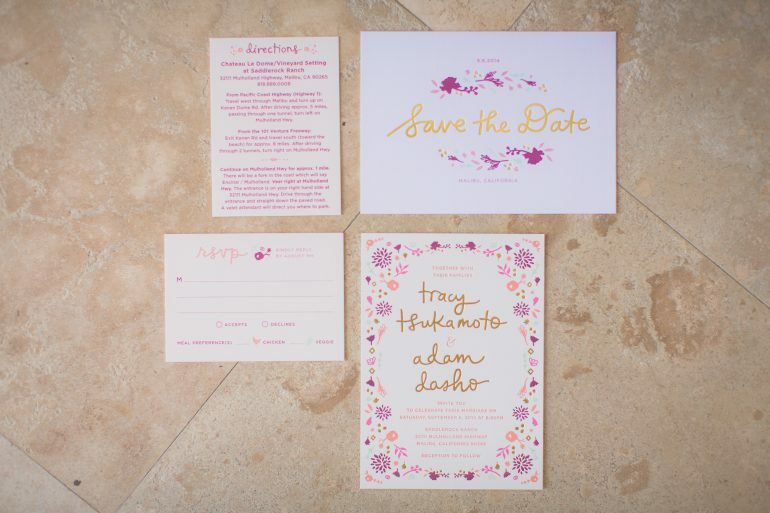 From the enchanting florals, to the enticing eats, down to the exquisitely printed paperware, each vendor plays a fundamental and unique role in your wedding day shenanigans. That being said, making the most of your wedding day vendors is all based on having the best possible interaction with them. The goal is to leave both parties happy and optimistic to working together again in the future. 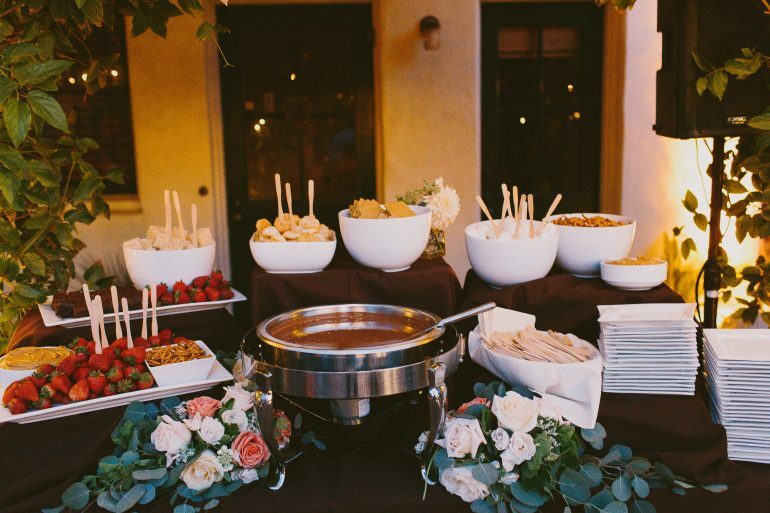 We at Marisa Nicole Events strongly believe that you can always catch more flies with honey than vinegar… While dealing with vendors can be stressful, with the right know-how and a cheerful spirit to go with it, both parties will leave satisfied and smiling. So, here is our advice for getting the most out of your vendor experience! Three words… Plan in advance! Before you even think about contacting vendors, be sure to know what your budget is, both overall and specifically for the service the company you are meeting with offers. Once you do start connecting with potential vendors, let them know your price point and ask them what services they can include while staying true to that. 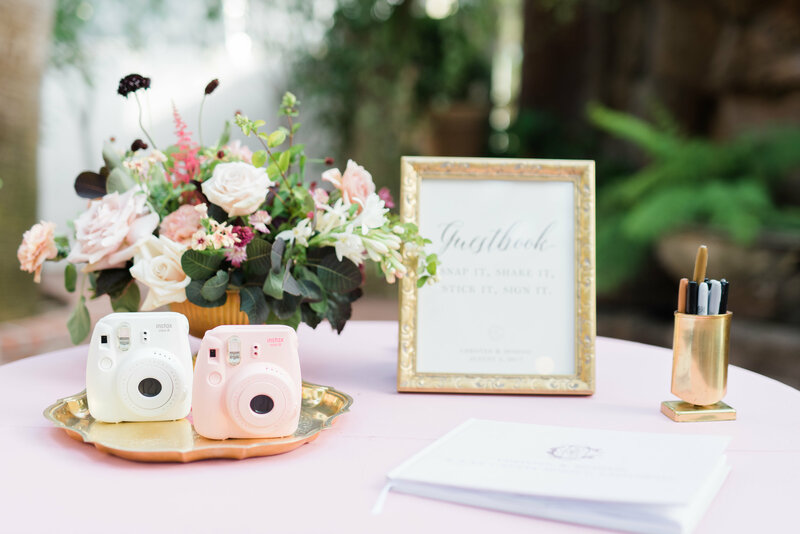 Many brides worry that presenting a strict budget means vendors will shy away from giving her everything she wants for the wedding, but it is in fact the opposite! When vendors have an honest, clear budget to work with, and a straightforward idea of what you have in mind, each will do what they can to make it happen within your price range (and if they can’t, you’ll save a lot of time not communicating with vendors you can’t afford). As always, throughout the research process with potential vendors, kindness is key! Hooray! 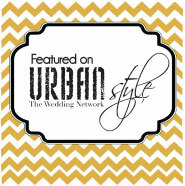 You’ve decided on a vendor to book, now you just need to solidify details and make things official! Here is where the precedence is set for what your relationship with each vendor looks like moving forward. 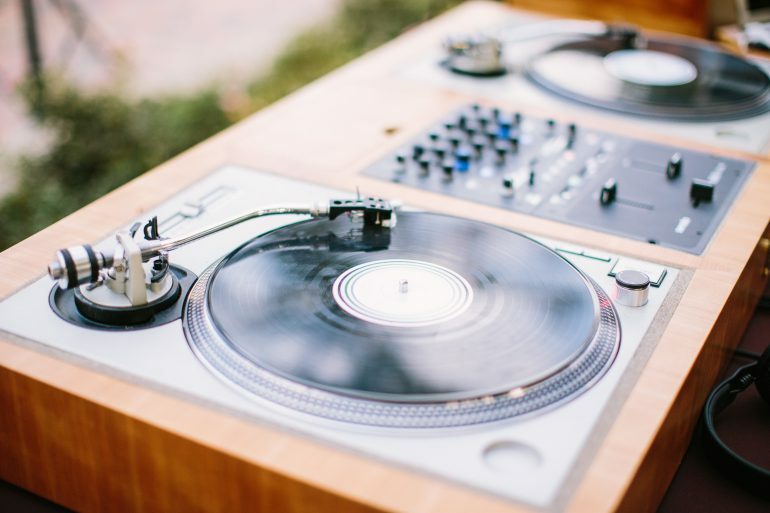 Through all the planning, design, or what have you, remember that each vendor plays a massive part in making your day everything you want it to be, so treat your vendors with respect. In other words, don’t be that client who is a pain in the booty during this part of the communication and negotiation process, because you don’t want to end up paying top dollar simply because vendors think you’re a pill. When the potential vendors present you with their fees, understand that if you have been consistently specific and kind, it is their honest price. Trying to haggle a price point or talking them down can give off vibes that say you’re feeling as if the vendor isn’t worth what they think they are. Constant kindness from you means when it comes down to it, vendors will bend over backwards for you! As you approach the date of the event, don’t forget to communicate with your vendors! Don’t assume they’re off doing their job and don’t need to hear from you anymore. Ask for each vendor’s collaboration by sending your contact the working day of flow. See if what you have planned is setting their team up for success. When your contact gives you feedback, actually take it into consideration and try to work it into the day of plan. If what he or she is asking for just isn’t possible, be sure to communicate why, keeping the lines of communication open and allowing each vendor to feel as if his or her expert opinion is valued. 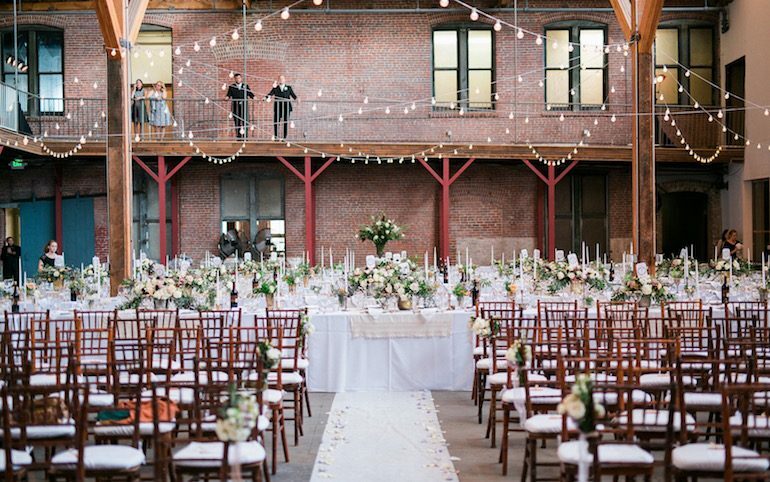 If your vendors don’t feel heard, they are much less likely to give you their all on the big day. Just be clear and interactive. When the big day arrives, the most important thing to keep in mind with vendors is to never, ever treat them like they are ‘the help’ (sorry if this sounds uncouth, but there just isn’t a better way to put it). Each one of wedding team members has shown up to make your special day even more wonderful, and should be treated as kindly and with as much respect as one of your guests. The key is to remember that although your vendors are providing a professional service on your wedding day, they are still people too, just doing his or her best to make your celebration fab. Oh, and please, please feed your vendors in a timely manner. We suggest having the vendors eat at the same time that your guests do, as you wouldn’t want them to have to miss a minute of the action once speeches and dancing commence (the photographer can’t snag photos of your bestie’s Maid of Honor rap if the vendor meal is served at the same time and a hungry band won’t able to perform their best with tummies rumbling). In the same way that our mothers taught us to say “please” (see the “booking & negotiations” section above), they also taught us to say “thank you.” We at Marisa Nicole Events truly believe that showing your hard working vendors how much you appreciate them is a must if you want your vendors to feel like you are happy with their work. This is where tips (and a kind note) come in. Which vendors should you tip, you ask? 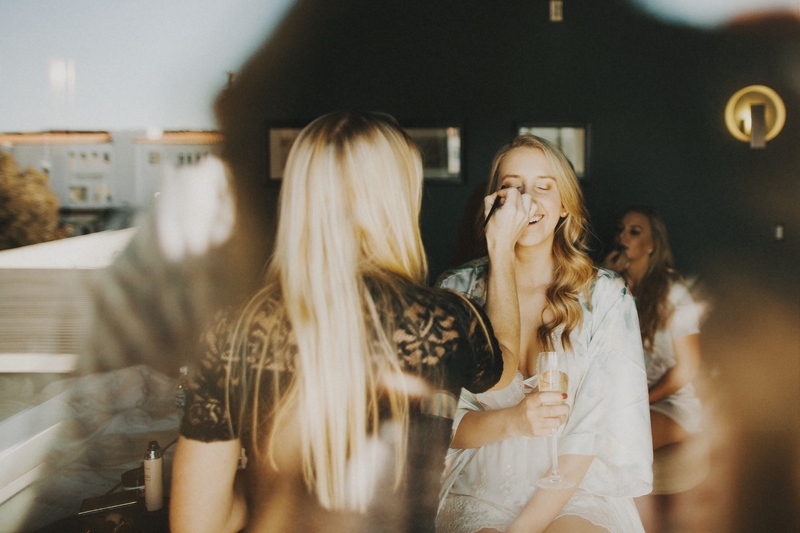 Our rule of thumb is that you tip the team members who are actually present during your wedding, pouring their blood, sweat and tears into making your day a success (whether or not the person on-site is an employee or the owner of the company)! 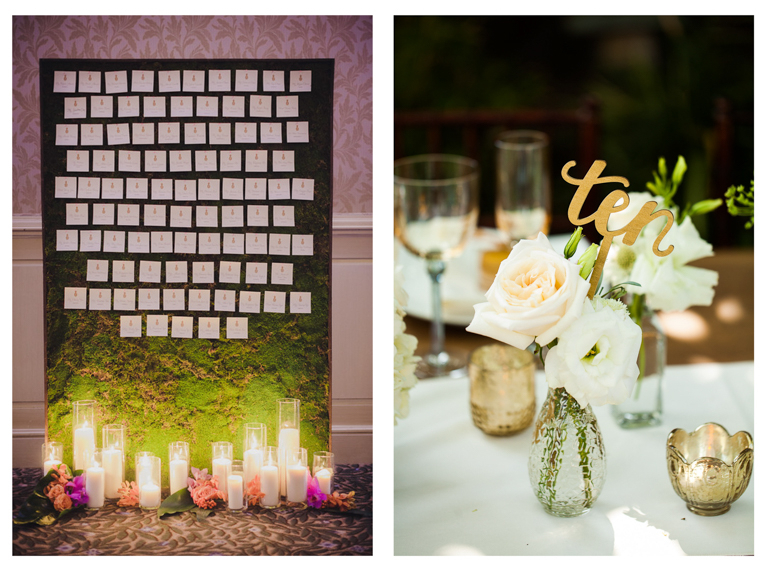 If your vendor did a fantastic job and played a part in making your wedding as perfect as you had hoped, then put your money where your mouth is and give them a tip and a nice note to thank him or her for their service! If they’re not tipped, vendors will take it as a hint that they didn’t do a good job. Tip them, write thoughtful thank you notes, etc… Just give them love if they did their job well. 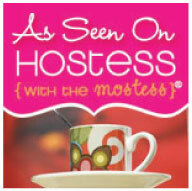 The bottom line is, always be as sweet as possible to your vendors! As we said earlier, you will always catch more flies with honey. Kindness is the the key to having the most productive interactions, getting the best price, and having the best overall experience. 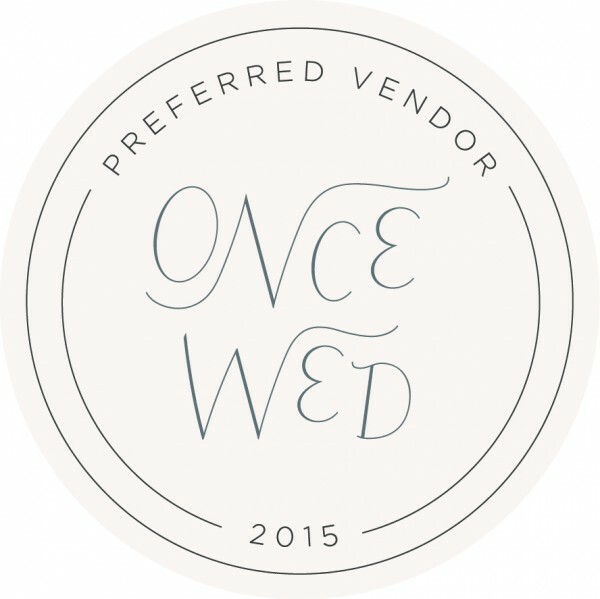 Just remember that it’s your day, and your vendors are there to make it phenomenal! Happy booking!